The other day I discussed an extinct breed from the 2016 election, “Never Trumpers,” and how completely wrong they were – with our nation better off for it. The 2016 election was undoubtedly one of the most fascinating in history, in no small part due to all the various factions and groups that were unleashed during it, straying far from our typical political matchups and dynamics. I had the pleasure of bumping into someone else at the 2018 Conservative Political Action Conference (CPAC) a few months ago whose image evoked memories of that tumultuous time – former New Mexico Governor Gary Johnson. The former 2016 Libertarian Party nominee, whose party’s defining image in the minds of many voters that year was a crude scene at its party convention left burned in the minds of the unfortunate attendees, had been invited to speak at the event. From what I saw, his arrival was greeted by a mix of curious interest, some awe contrasted with a few sneers, and a general atmosphere of faint wonder mixed with reflective fascination. In our brief chat he did not seem too proud of his 2016 Libertarian Party bid, even though he earned the highest vote count for a Libertarian nominee in history at over 4.489 million and 3.27% of the popular vote. Indeed his 2016 election bid was quixotic, another object bouncing around in the chaotic maelstrom that was 2016. Exit polls showed Johnson drew 2% of Republicans, 1% of Democrats, and 6% of Independents, with a piece by Professor Volokh of The Washington Post estimating his candidacy resulting in a net loss to then-candidate Donald Trump of 0.4% of the popular vote. Though these margins seem small, remember that Trump won the election in truth by a margin of just 77,744 votes, which are the margins in the swing states of Michigan, Pennsylvania, and Wisconsin that pushed his electoral victory over the top. In those three states alone Johnson won over 425,525 votes, demonstrating just how potentially impactful he and other third party candidates could have been in 2016. Johnson himself had quite a distinguished record prior to fading out of the public eye when his 2012 Republican presidential primary bid did not gain traction. He still ended up being in the general election as the Libertarian Party’s nominee that year, garnering 0.99% of the popular vote and 1.275 million votes. Many years prior to his third-party escapades, Johnson led a fiscally-impressive two-terms as the Republican Governor of New Mexico from 1995 to 2003. Before that, he developed his business chops and record through building up one of New Mexico’s largest construction companies from scratch. His vice presidential nominee, former Massachusetts Governor Bill Weld, was also particularly impressive as someone who led a distinguished and pragmatic career in public service. He served as a U.S. Attorney, Assistant Attorney General at the DOJ, and led as a popular Republican at the helm of a deep blue state in a fashion similar to today’s Governor Charlie Baker (MA) or Larry Hogan (MD). 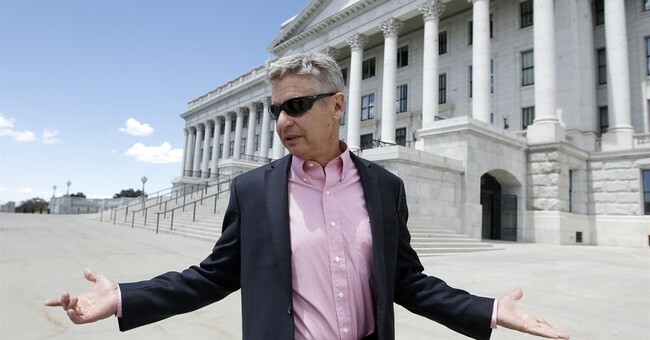 Johnson’s 2016 bid seemed to largely attract an eclectic mix of traditional libertarians, anti-Trump center-right Republicans, disaffected moderates, centrist Democrats, as well as a smattering of the peculiar whose primary policy goal was complete legalization of a variety of drugs. It was a strange coalition, but given the unusual circumstances it was operating in it seemed almost just a product of the times. Facing attacks from both the Trump and Clinton camps, Johnson never stood a chance as even his polling high of 10% two months before the election soon fell to natural third-party fade – and that’s not even talking about the electoral college math. Our two-party system today is simply too sophisticated for even the most well-crafted and funded independent bids to stand much of a chance. I am grateful our nation has had Governors like Gary Johnson, who have contributed to the pragmatic state-level governance that is what builds up this country’s backbone. At a time of weak executives in our state offices, that he was known as the “veto king” who vetoed over 739 bills, as fact-checked by Ballotpedia and not even including line-items, is quite impressive. On the other hand, I am also enormously grateful his 2016 candidacy did not catch steam and that we ended up electing another pragmatic businessman - Donald J. Trump – to the highest office in the United States.